Now you can bring home Captain America from The Avengers: End Game Movie with this POP! 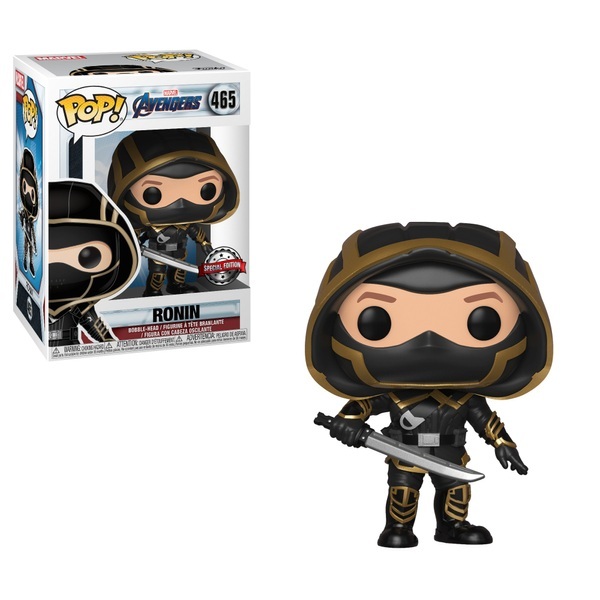 Vinyl: Marvel Avengers Ronin Figure. Collect them all. Hulk, Captain America, Thor, Black Widow, Ant-Man, Iron Man, Thanos, Hawkeye, Captain Marvel, Nebula and War Machine. Each sold separately.